The Atlanta Falcons made a couple of moves on Tuesday, signing veteran linebacker Thomas Howard and releasing linebacker Jamar Chaney. He was selected in the second round of the 2006 NFL Draft by the Oakland Raiders. 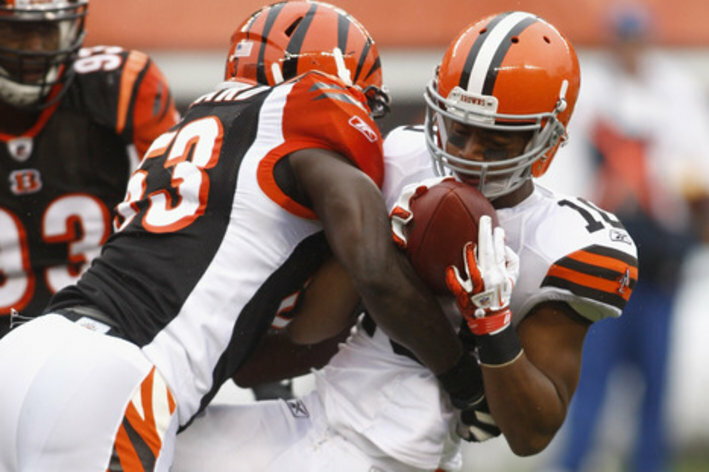 He spent the first five years of his career in Oakland before signing with the Cincinnati Bengals in 2011. 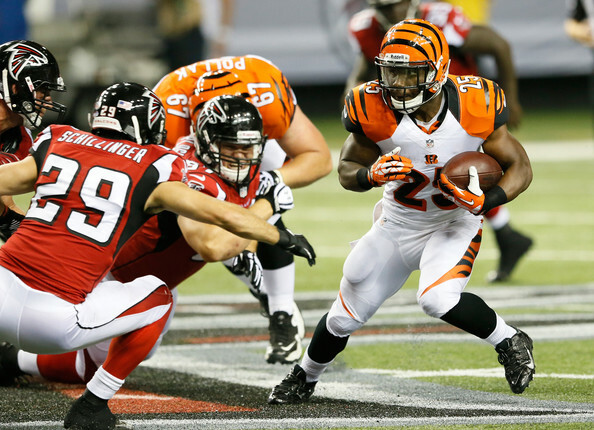 He played one full season with the Bengals before missing all of last season with a knee injury. For his career, Howard has compiled 492 tackles, six sacks, seven interceptions, and six forced fumbles. 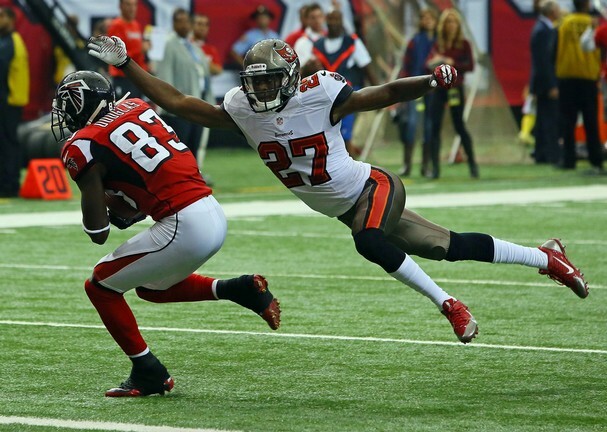 The Atlanta Falcons have waived safety Shann Schillinger. Schillinger was selected in the sixth round of the 2010 NFL Draft. He was primarily a special teamer, recording 13 tackles in 36 games. His release opens up a roster spot for the Falcons. Expect a move to fill that roster spot soon. Atlanta Falcons wide receiver Roddy White will miss the first game of his NFL career as he was ruled out for Sunday’s game versus the Tampa Bay Buccaneers. White’s streak of 133 consecutive games is third in franchise history behind centers Todd McClure (144) and Jeff Van Note (155). The receiver was hampered by a high ankle sprain suffered in preseason but still managed to start despite being limited. 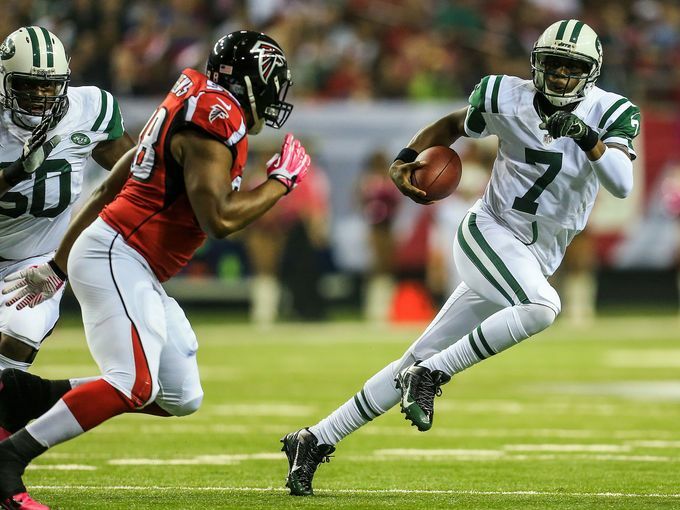 White also injured his hamstring in Week 5’s loss to the New York Jets. 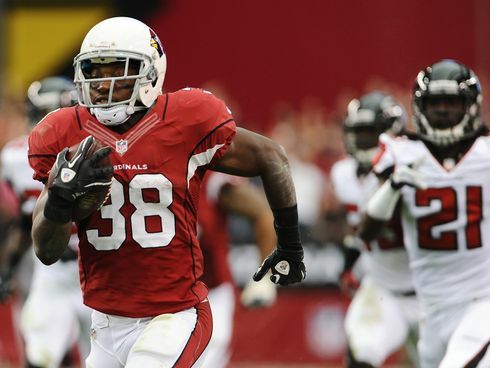 Running back Steven Jackson is still dealing with a hamstring injury suffered in Week 2 versus the St. Louis Rams. Left tackle Sam Baker won’t dress for Sunday’s game, either. Both he and tight end Chase Coffman, who was ruled out as well, are suffering from knee injuries. 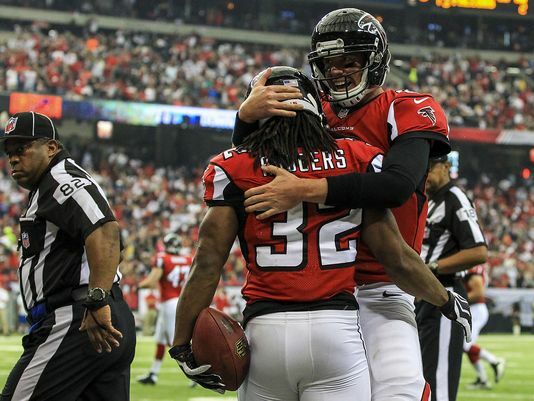 Expect Matt Ryan to lean heavily on Tony Gonzalez in Sunday’s game. 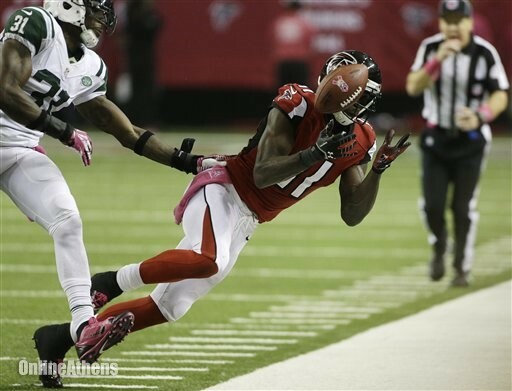 The Atlanta Falcons have officially announced wide receiver Julio Jones is out for the season. Jones received a second opinion on his right foot Wednesday, and the initial diagnosis was confirmed. The wide receiver will undergo season-ending surgery on October 13. It cannot be overstated how big of a blow Jones being out is to the Falcons’ offense. With the open roster spot, Atlanta went out and signed Brian Robiskie, son of assistant head coach and wide receivers coach, Terry Robiskie. #Falcons to sign WR Brian Robiskie, according to agent sources. Son of position coach Terry. Of course, Robiskie won’t fill Jones’ shoes, but he’ll provide a little depth. He appeared in six games with the Detroit Lions last season, catching just four balls for 44 yards and a touchdown. 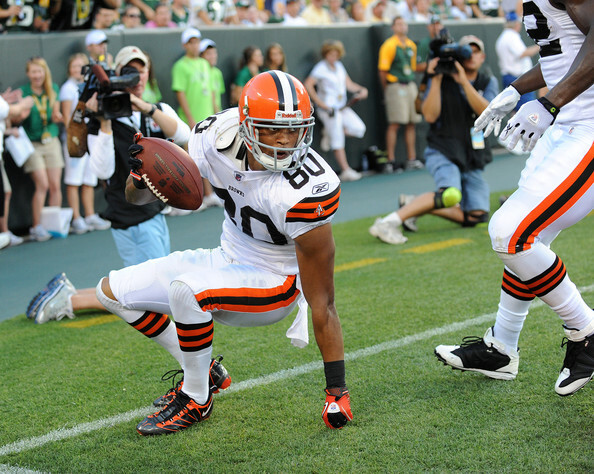 Robiskie was selected in the second round (36th overall) in the 2009 NFL Draft by the Cleveland Browns. He spent two and a half seasons there before being cut in 2011. For his career, Robiskie has totaled 43 receptions for 485 yards and four touchdowns. For the first time since the tumultuous 2007 season, the Atlanta Falcons have lost three straight games. 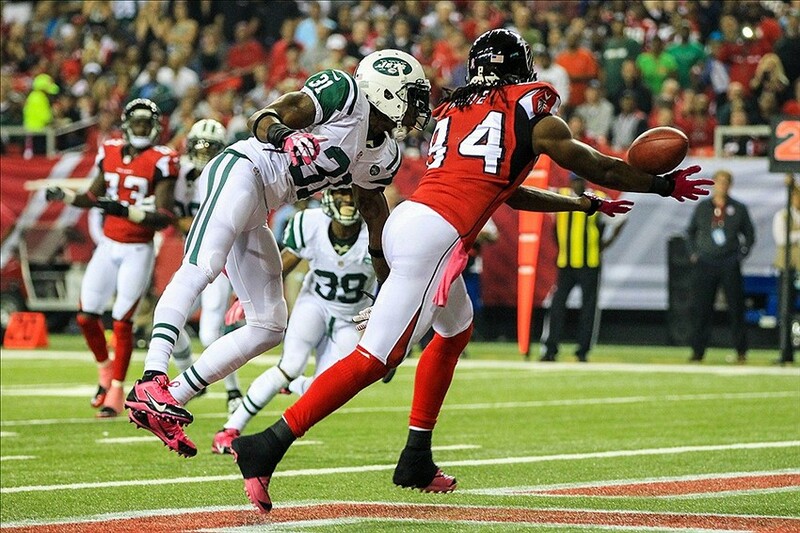 Monday night’s 30-28 loss to the New York Jets was the Falcons’ second consecutive loss at home. It was the first time in Matt Ryan’s career he’s lost back-to-back home games. The Atlanta Falcons fear wide receiver Julio Jones is out for the season with a foot injury following Monday night’s loss to the New York Jets. Wednesday, Jones will get a second opinion, but he is likely out for the remainder of the season. Adding injury to insult: I just saw Julio Jones limping out of the x-ray room for unknown reason. Whatever it is, it's lower right leg/foot. It’s another heavy blow to a Falcons team that has already been decimated by injuries. What’s impressive is Jones made this catch after he had suffered the foot injury. He finished the day with eight receptions for 99 yards. On the season, he had 41 receptions for 580 yards and two touchdowns. Falcons coach Mike Smith says they believe Julio suffered the injury BEFORE he made the incredible one-handed catch in 4th quarter. Amazing.